One of the most beautiful dresses we have ever seen. 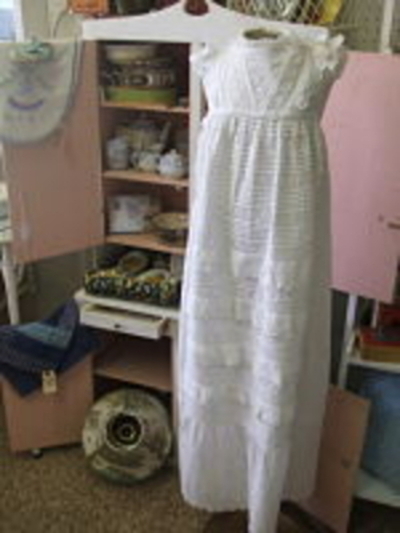 Dress is full of eyelet lace and beautifully made. Late 1800's.